Aggressive style ! Love it ! Let see my first outfit Post about Mangano!!! I wait you :-D Kiss from Italy ! Love the double-leopard print and that jacket is just perfect! Love that you paired it with white.. another beautiful look! Loveeee the pants with those shoes ! The shoes are amazing! Love it that you paired it with a military jacket! Check out my new post on www.fashionpolished.com if you like! Love your outfit!Happy Valentine's day! I love this look, I can never resist cheetah. Ahhh I want your pants!!! Love this look on you. 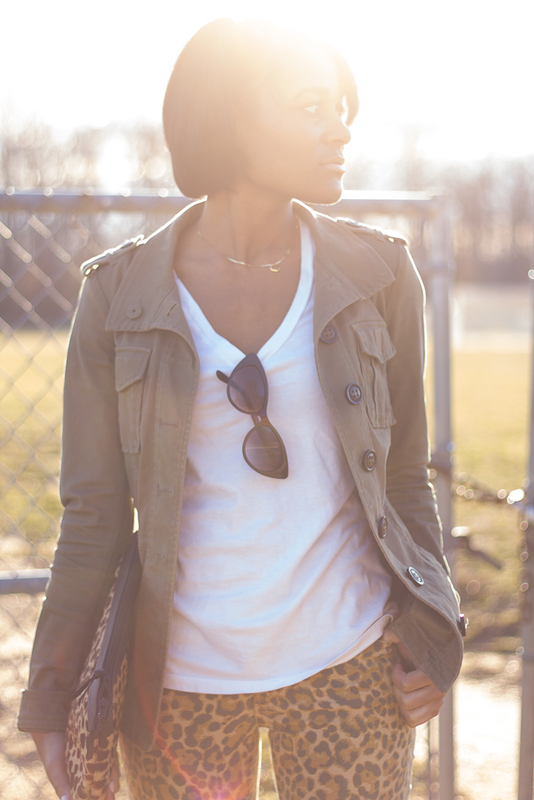 Loving those Zara shoes on you and the safari jacket works perfectly with all that animal print! This outfit is everything! You look great! Awesome styling of leopard on leopard! I thought I loved animal prints. Girl, u got me beat! Love the look. So dope! You look so fly and i love the leopard pants and those shoes!! I'm in LOVE with those Zara booties! Very cute! Leopard print mixing done right!